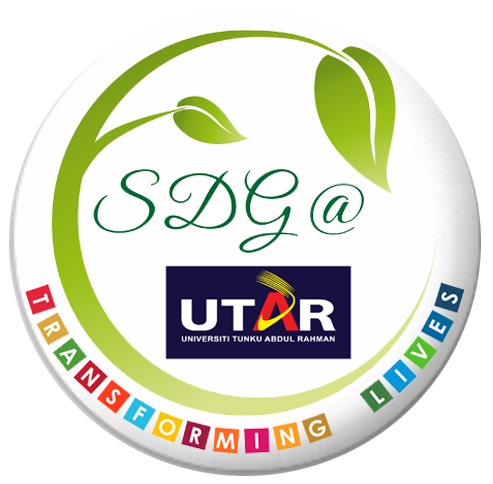 UTAR R&D Colloquium serves as a platform for all researchers to present and share their work among the thirty two (32) Research Centers (RC) in UTAR. 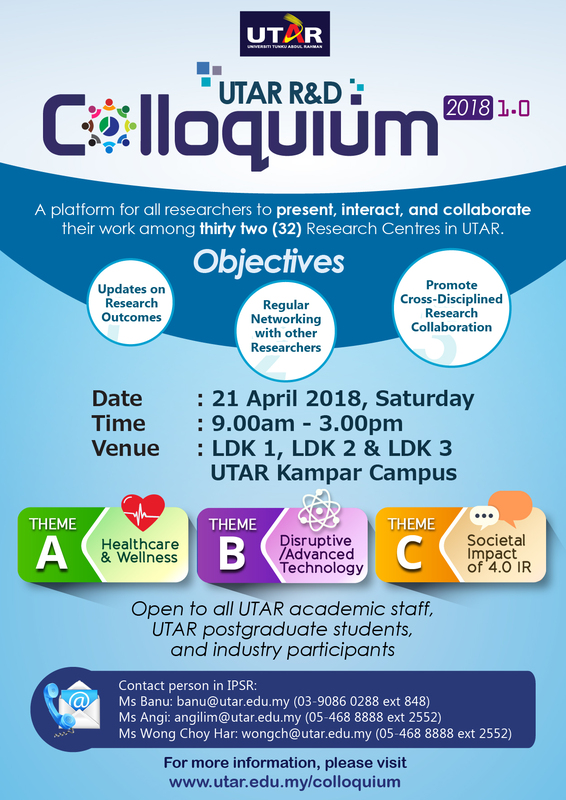 We proudly present to you again, UTAR R&D Colloquium 2018 (1.0) which will be held on 21 April 2018 at UTAR Kampar Campus! REGISTER NOW at www.utar.edu.my/colloquium ! 1. UTAR transportation will be arranged from Sg Long Campus to Kampar Campus. Details of the pickup time and venue will be advised later. Please indicate in your online registration if you require transportation. 2. Refreshments will be provided. Please indicate if you require vegetarian meal.